Author, Glennis Browne explains why immigrants moved to Australia in the 1860s. She explores real incidents of grief and poverty during the Australian gold rush years. The 21st century reader may learn of the reality of their ancestors lives and find answers in this book. Dan and Charlotte need to make courageous decisions. Charlottes sees ahead a lifetime of shame and disgrace. Seperately, they begin adventurous and challenging lives, joining the thousands of emigrants who join the early pioneers in Australia. ‘This isn’t the freedom I am after!’ His cry is from his heart. 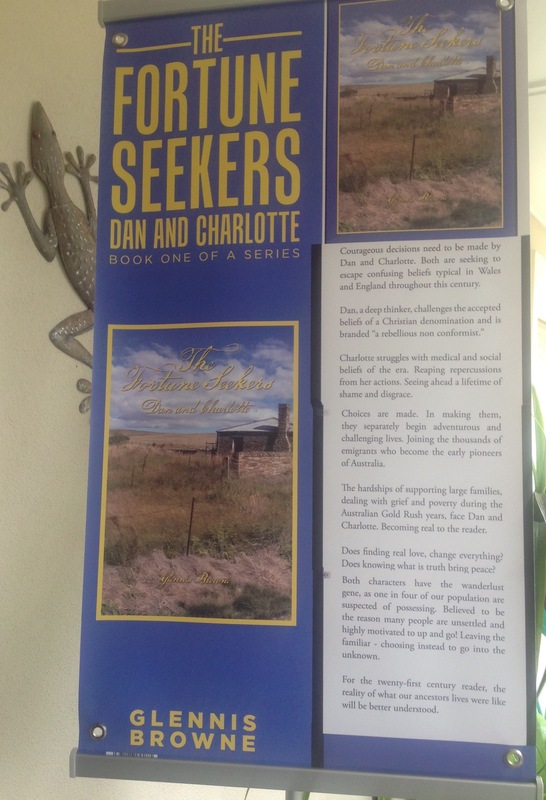 With well-drawn characters and riveting plot, “The Fortune Seekers – Dan and Charlotte” is a book of crisis, hope, adventure and challenge. It shows the repercussions of sexual experimentation, marital infidelity and loving relationships as they are. This exciting new release follows ‘The Fortune Seekers’ – where two key people- Dan and Charlotte work through personal challenges, making decisions which will change the course of history. How? Within the pages you will discover momentous situations within their lives that change the course of history for those living today. ****See Chapter One and Chapter Two pages where full chapters are available for you to read. Where author, Glennis Browne chronicles the beginning of this compelling tale of 18th century immigrants in Australia.